Rent a luxury car in South Africa with Sixt for an unforgettable tour of this dynamic country. Cruise under desert skies with the top down in a convertible or venture out onto rugged coastlines and dramatic plains in a stylish and robust SUV. Renting a luxury car in South Africa enables you to travel in maximum comfort while you tour epic Safari parks like Kruger National Park, beautiful winelands on the Western Cape and cosmopolitan Cape Town surrounded by the magnificent backdrop of Tabletop Mountain. 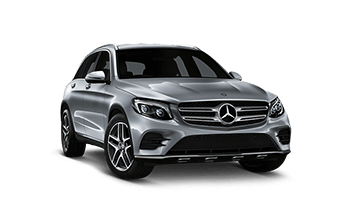 Our large fleet of premium vehicles in South Africa is made up of brand new models from leading manufacturers such as Mercedes and Jaguar. Enjoying the performance of a luxury car rental transforms your vacation through their incredible performance, beautifully designed exteriors and fantastic features. You will find a luxury car rental performs well in a wide array of driving situations; perfect for the huge diversity of South Africa’s cities and landscapes. Rent a luxury car for their astounding features including the latest inbuilt infotainment and driver assist systems, enabling you to relax and enjoy the ride. Our luxury cars are equipped with excellent safety features such as rollover pop-up bars, extra airbags and parking distance control. With Sixt you can expect a seamless rental experience from reservation to drop-off. When you make your reservation online you can choose from a wide range of rental periods, vehicle categories, optional add-ons and extra protection options. Our flexible rental periods offer premium hire solutions for all types of vacation, from quick city breaks to long distance road trips across South Africa. You can also choose to drop your vehicle off at a different Sixt branch with our one-way rental option. With a luxury fleet that ranges from speedy convertibles like the Ford Mustang to sturdy SUVs like the Range Rover Sport, you can choose an exotic car rental that suits your needs. Customize your luxury car rental with practical mobility solutions such as state of the art GPS devices, additional drivers and booster seats.